Pilot error or technical fault are the main theories in the crash of a Russian Defense Ministry plane that had 92 people aboard, including members of a famous military band, on Sunday, the country's transport minister said. 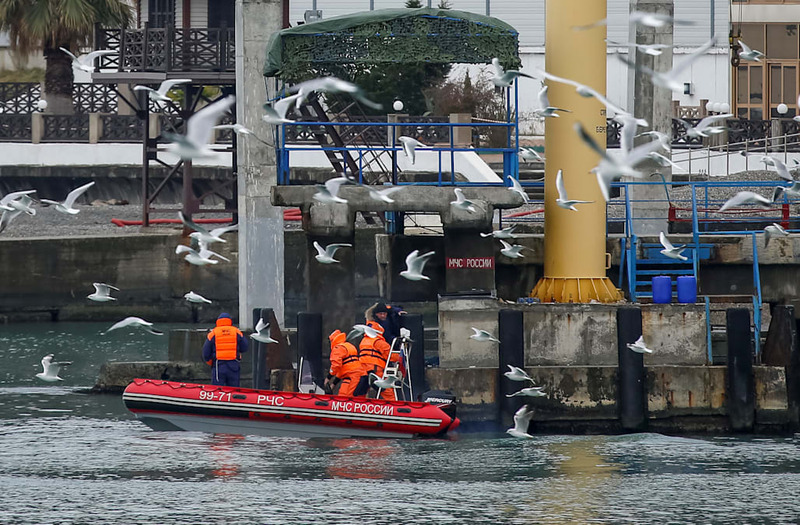 Around 3,500 rescue workers and nearly 40 ships have been involved in a search effort since the three-engine Tu-154 dropped off radar about 20 minutes after taking off from Adler, near Sochi, Friday morning local time, the Defense Ministry said. Debris has been found in the Black Sea about a mile from shore. Eleven bodies and 154 body fragments had been discovered during the first 24 hours of the search, the ministry added. While all causes were being considered, a "technical problem or piloting error," are the likely causes of the crash, Transport Minister Maksim Sokolov said in a briefing Monday, according to Russian news agencies. "Today, the main theories do not include terrorism, so we assume that either technical problems or a piloting error may have been the cause," Sokolov said at a briefing. The plane disappeared from radar at around 5:20 a.m. Sunday local time (8:20 p.m. Saturday ET), Russian media reported. The Defense Ministry told local media the plane was carrying members of the Alexandrov Military Ensemble for a performance at the Hemeimeem air base in Syria's coastal province of Latakia. Russian forces have been helping President Bashar al-Assad quash Syria's six-year civil war. Nine Russian journalists, including a TV crew from Channel One, were also among those on board. Russian President Vladimir Putin said in a statement Sunday: "I want to express my sincere condolences to the families of our citizens who died as a result of the air catastrophe over the Black Sea this morning," and declared Monday a national day of mourning.